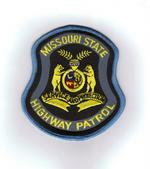 Wet road conditions contribute to a single-vehicle crash on Missouri 265 one mile north of Branson. According to State Troopers, 16-year-old Dustin Bibens of Branson West was traveling south at 4 p.m. Monday, when his SUV hydroplaned, exited the left side of the road and struck a tree. Bibens was taken by ambulance to Cox Medical Center in Branson for treatment of moderate injuries.